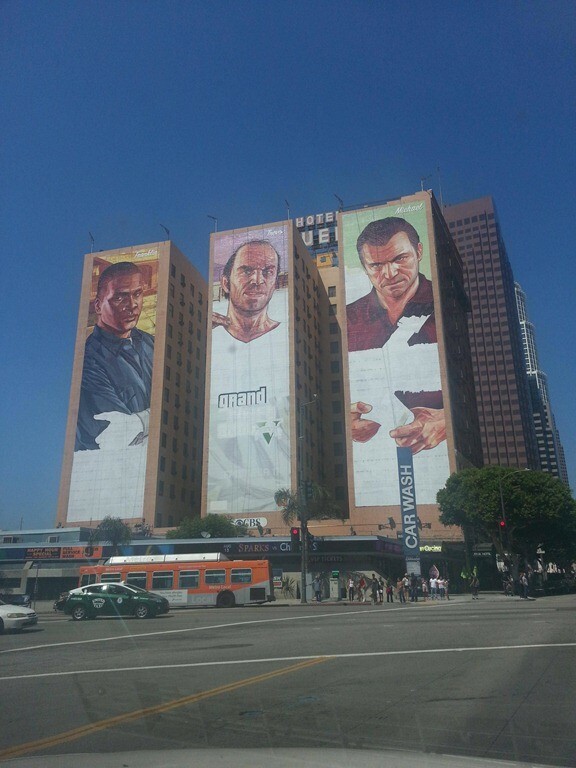 True story, I saw this exact same building while at E3, only plastered with advertising for World War Z and The Lone Ranger, and was convinced that a thousand carefully arranged posters had been put up. 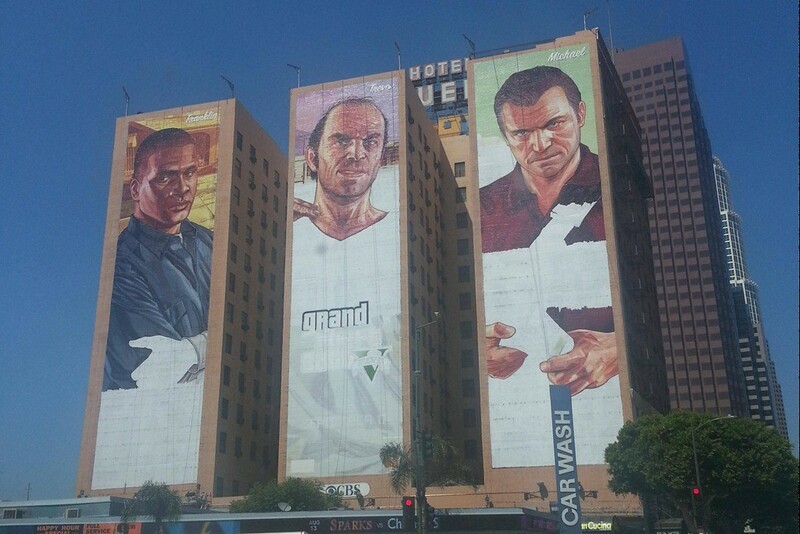 In fact, it was all done by hand, as evidenced by this in development mural for GTA V.
Thanks Reddit. And shut up Geoff, I know it’s a painting now.